Negative Gearing is this + or – ? I do think we should keep this simple though and yes, Negative Gearing is a hot topic at the moment (and has been so for many years now). The government is constantly talking about changes to Negative Gearing and yes, I do think this will occur at some stage and in doing so we may see adjustments rather than total abolishment. 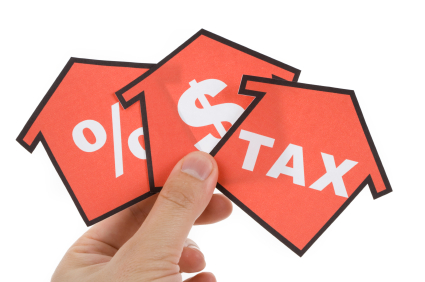 The government gives property investors tax deductions on the cost and depreciation of holding an investment property – why??? Simply because we, as property investors, are footing the bill for housing Australians as the Government is not able to make up for the short fall in housing supply. This is why we, as investors, need to keep an eye on migration and population growth combined with solid employment growth = demand and supply / best suited to capital cities. Negative gearing is allowing us, as property investors, to calculate all costs of holding an investment property (interest on loans for investment, lender mortgage insurance, stamp duty on land, management fees, insurances, rates, interest during construction, maintenance and depreciation on the building at 2.5% over 40 years plus depreciation on fixtures and fittings in the first 5 years with new property). This delivers cash flow and is attractive for investors (having a $550,000 new house and land package in a capital city, growing at say 4% P.A. and delivering approximately $38,000 + in total tax deductions whilst running at + $55 p/week cash flow positive after tax). Ideally (especially with our current low interest rates), once we calculate the tax deductions, after rent, then we are looking at a house and land investment then being positively geared after tax – meaning that after all costs and tax deductions, the property is then running at a + / positive cash flow after tax (this is often the case with a house and land package in a capital city, depending on the investors income, tax bracket and rental return). I think the lessons learnt from this will be long standing. Remembering that with population growth and an undersupply of housing, the government is simply rewarding us for baring the cost in providing additional housing for Australians – as well as having investors build their own wealth to then support themselves in retirement. Whilst yes there may/will be changes to negative gearing in the future (limiting the number of properties, adjusting tax concessions etc.) the many positives that come from safe property investment, as a key part of your balanced portfolio, speaks for itself – especially in enabling lifestyle in your retirement.